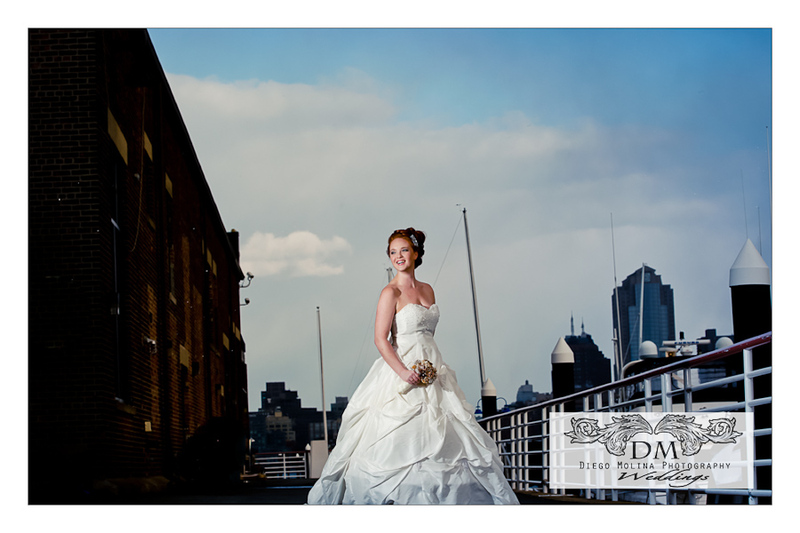 Wedding photography and Bridal portraits are pretty amazing! There’s something magical about a woman in Bridal Attire. I had the chance to photograph these six fabulous models and with the help of make-up artists and a super talented hair stylist, we pulled through these stunning images. We started planning this day way in advance. All the details were on point; from the model casting to the actual location. It sure was a production to book six models, with make-up and hair ready, the gowns and accessories and then the photo shoot. The prep began promptly at 8 am on a cold winter day with gusty winds. We could see from the luxury hotel window how badly the trees were swinging. We knew that it’ll be a challenge to do editorial shots and keep the hair in place with that kind of weather. But the girls were brave! And the luck was on our side. This location was by the Hudson River where the winds were especially blowy. To give the models a break we were shooting one at a time and at the end, a group shot for fun! Lighting was especially tricky as the sun kept showing on and off. We even had flurries at the beginning. Hair by Kristi Unis of Studio Verve, LLC, MakeUp Artists Casey Lynn Vitanza and Vanessa Villa (also of Studio Verve), Accessories & Gowns by Clay Bouquet Shop and some of our beautiful models Diana Teresa, Melissa Vitina Silletti, Daniella Parra, Shawna, Lisa Marie & Aenna! I hope you enjoy these images as much as I did capture them. 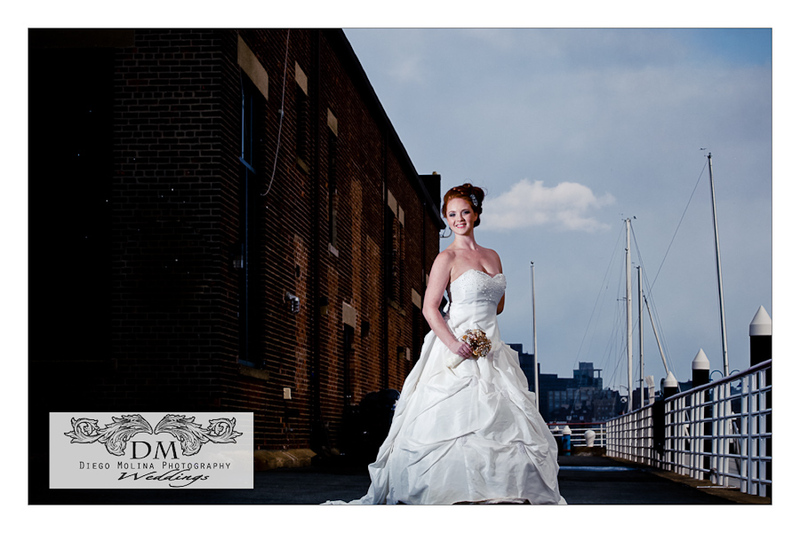 Our New Jersey wedding photography studio offers the best photography packages for your wedding day. 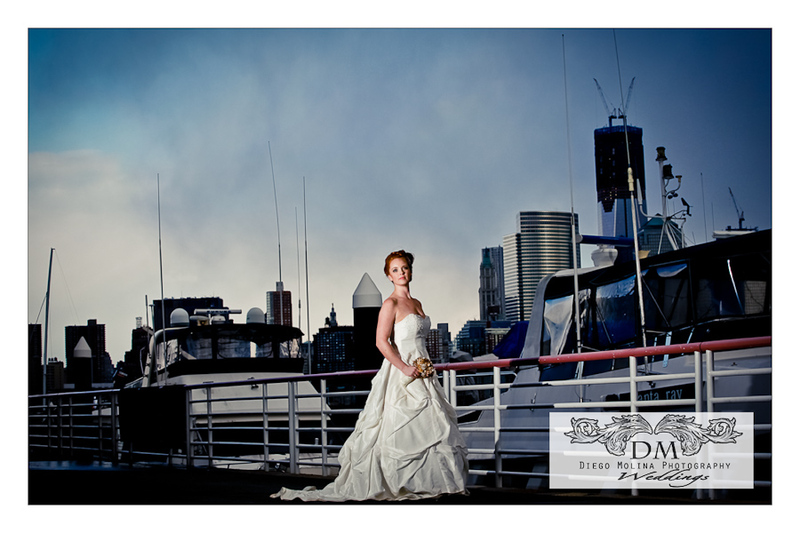 Diego Molina is a talented wedding photographer serving for Bergen County, Hudson County, and Northern New Jersey. To book your bridal boudoir photos in New Jersey with Diego Molina Call 2018381687.